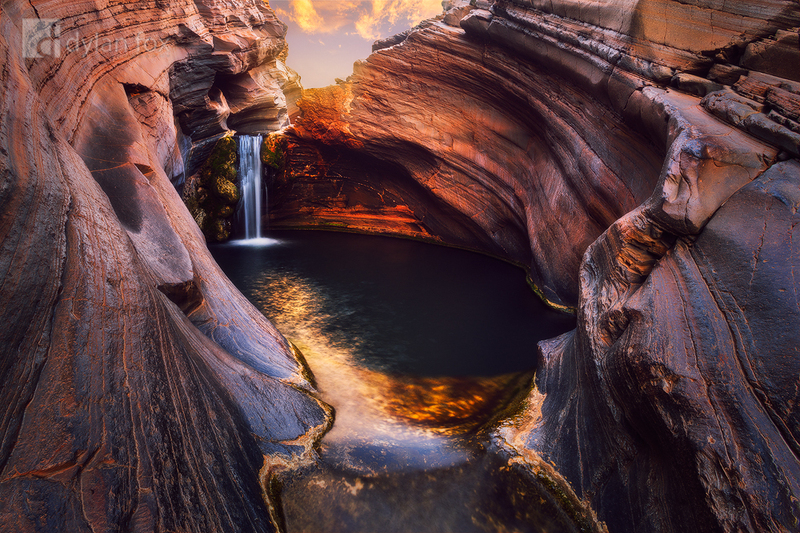 The spectacular Spa Pool of Karijini National Park photographed at sunset. Some beautiful light and clouds in the sky set of this already stunning scene. Spa Pool is found at Hammersley Gorge. A gorge that has some amazing geological features. This natural pool drops down to a depth of roughly 3 metres. I just love that glowing light that filled the scene. It is moments like these that I am forever chasing. Secure your limited edition, Spa Pool print, 'Allure', by selecting your desired print size in the menu to the right.